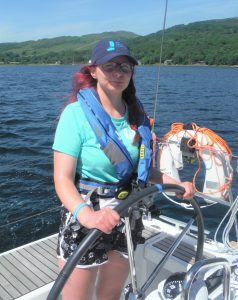 It’s time to give more young people the chance to positively embrace their future after treatment as the first Ellen MacArthur Cancer Trust trip gets underway today (April 12). 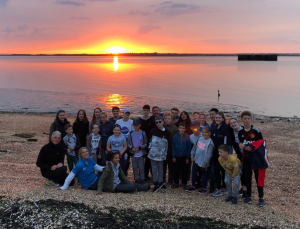 Hundreds of young people from across the UK will be given the opportunity to experience a life-transforming Trust trip this summer, either on one of the 16 first time trips or returning to take part in one of the many outdoor adventure trips. The Trust understands that rebuilding confidence, optimism, and self-esteem in the aftermath of cancer cannot be achieved in four-days, which is why 18 adventure activity trips are available this year, in different locations across the country including a new centre in Hollowford. 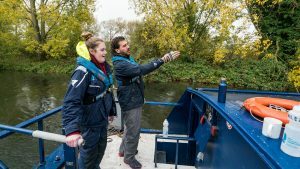 Another canal trip has also been added to the programme which will allow the Trust to reach more young people with severe mobility challenges. After the success of the siblings pilot trip, 30 siblings affected by the longterm illness of their brother or sister will have the chance to visit the Lake District this summer, find out more information and apply for the siblings trip here. Young people are supported long-term through the emotionally draining process of recovery as they have the opportunity to come back for trips year-on-year, not only that but this year 20 young people who are now over 18 will train to become volunteers so they can inspire other young people like them. “More young people are surviving cancer than ever. This is great! But it means more young people need support in recovery.” commented Trust CEO Frank Fletcher.